Impressive looking collection of custom bodies! I enjoy seeing your work. I've been working on some of my own, but I only have a couple done. One problem I've been having is that my bodies paint chip like crazy once they get in some minor wrecks on the track. I'm curious about what type of paint you use and whether you have found a way to make it more durable. I airbrush thinned Tamiya Acrylic on Tamiya-Primered white bodies, and then follow up with Tamiya Clear (thinned and airbrushed as well. After everything is cured, I polish and wax everything up. It is frustrating to go to all that trouble and then see the paint on the front of my car chip to the white plastic on the first collision. If you have any advice, I'd really appreciate it. Thank you. I honestly don't think I have any advice for you...I use Tamiya airbrush pots as well straight onto the white body. 1. As you've stated I get some rub and cracking marks in the paint. 2. I sometimes also get a weird spider cracking in the paint under the clear coat which I believe has to do with the flexing of the body on and off of the chassis mounts. All in all I mostly ignore the tiny dramas. I' used to be afraid of running the bodies but now I see it as the effects of racing that also occurs on 1:1 liveries as well....ever see what an Audi R8GT3 looks like at the end of a real life sprint race? One other thing I've trended towards is doing mostly white race cars as it's less noticeable when impact chips occur on white bodies. I guess long story short (too late!) is learn to live with it if you want custom bodies. Thanks for the advice. I'll have to keep experimenting. I have started some classic Le Man's cars for some vintage racing we have planned. I really like the Oakley R8! What scale did you get those decals at? 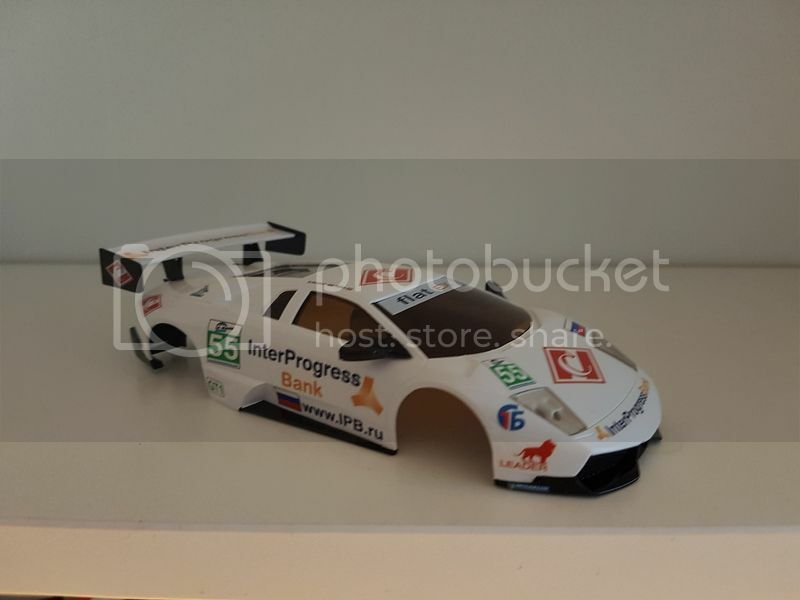 I just bought the decals for the 911 GT1 Marlboro car myself and look to complete that in the coming month(s). For the Hankook schemes, it turns out so much better applying the striping with paint. I struggled with the same issue of decals not matching scale and just painted them on. Thankful I did as it turned out much better for me. I wound up buying both the 1/24 scale and the 1/27 scale decals for the Oakley R8 as fitment was off both in length and width for either of the scales. I blended the pieces together with some careful cutting and minor overlapping. 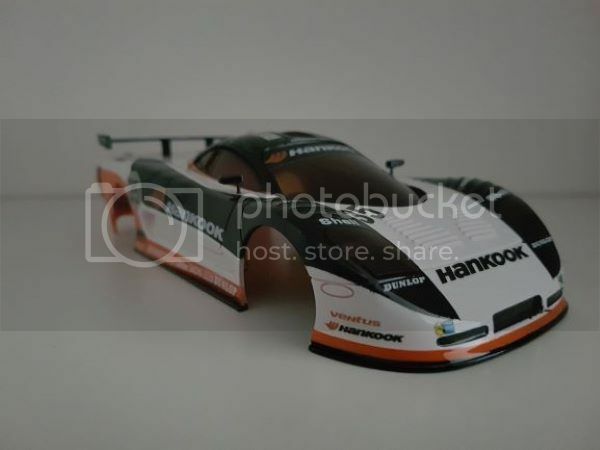 I have the Hankook decals for an upcoming Mosler project. I will be doing the paint stripes this time. The Marlboro 911 GT1 that I did still ranks as one of my favorites. 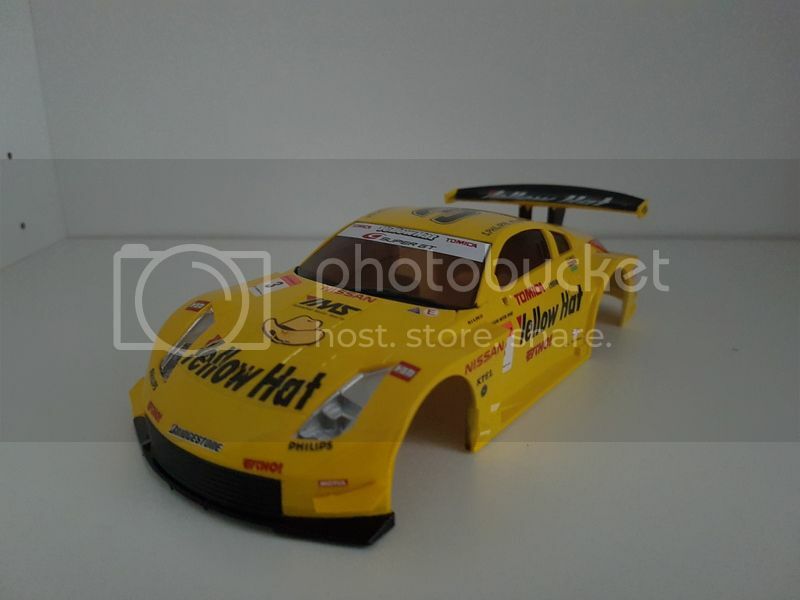 I have a GT1 coming out soon that will be a full custom creation with some leftover decals as a client request. I also have the 'hole in the wall' decals coming for the 911 GT1. I took a chance as the livery is a bit odd, unique. I may keep looking for a suitable Martini livery that can be adapted to the GT1. There are just so many versions of the Martini livery to look at, making it hard to pick. Anyway, i'm subscribed and looking forward to seeing what you do next. I made the Playstation R8 in black, and it dissappears on the track, however, I have seen a bright red version, and all the decals would work great on red. You should give it a try! These bodies were my toughest to date. 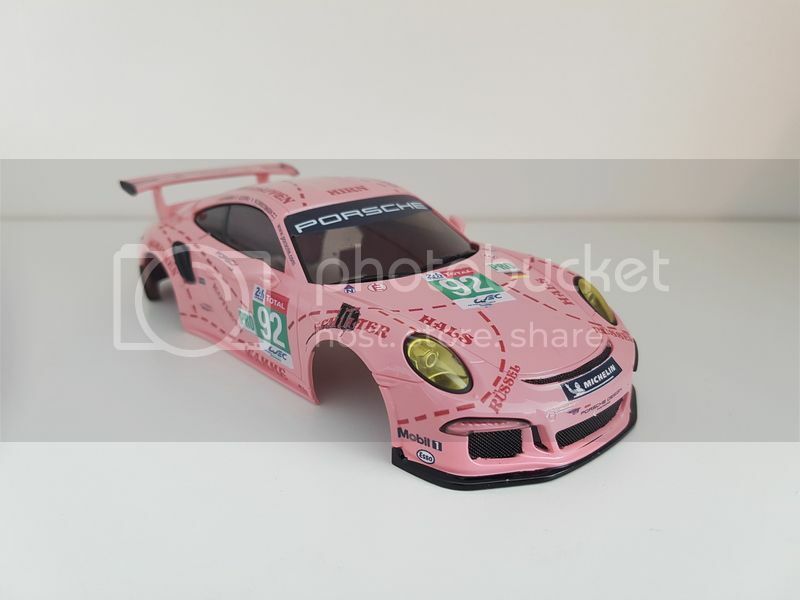 2018 Leman GT-Pro Porsche "pink pig retro"
This one was a full body wrap to get the carbonation effect through the entire pink surface...in total about 12hours to complete from white body to clear coat. Really impressive. I am going to have to try a custom body someday. Not sure if I have a steady enough hand for it but it seems like it would be a lot of fun and rewarding.